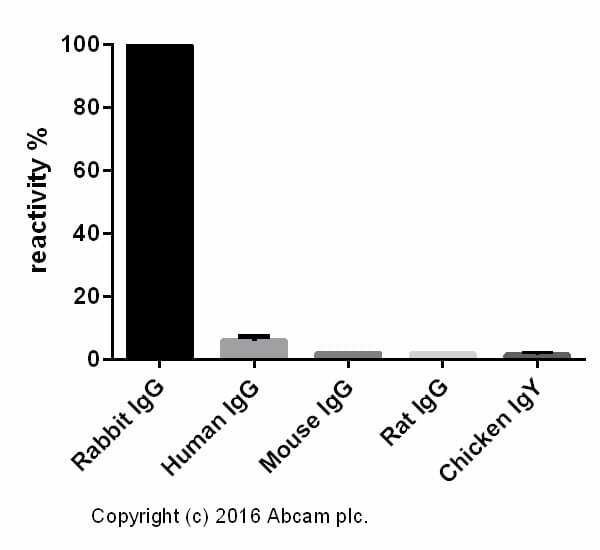 We batch test Goat Anti-Rabbit IgG H&L (Alexa Fluor® 790), ab175781 in fluorescent WB. 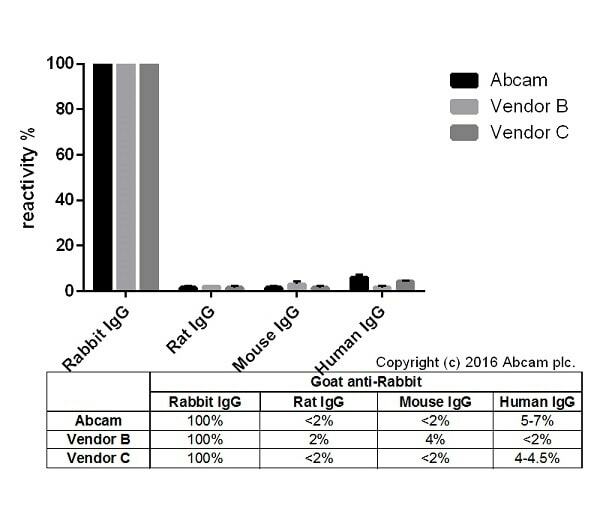 Although we don’t batch test for ICC, ELISA, IHC-Fr or Flow cytometry customers have had success using Goat Anti-Rabbit IgG H&L (Alexa Fluor® 790), ab175781 in these applications. Our Abpromise guarantee covers the use of ab175781 in the following tested applications. This blot was produced using a 4-12% Bis-tris gel under the MOPS buffer system. The gel was run at 200V for 50 minutes before being transferred onto a Nitrocellulose membrane at 30V for 70 minutes. The membrane was then blocked for an hour using 5% Milk before being incubated with ab18251 overnight at 4°C. Antibody binding was detected using ab175781 at a 1:10,000 dilution for 1hr at room temperature and then imaged using the Licor Odyssey CLx. Publishing research using ab175781? Please let us know so that we can cite the reference in this datasheet. There are currently no Customer reviews or Questions for ab175781.